It is easier than you think to give your floors a new lease of life. Gray’s Carpets in Warminster, Wiltshire, also provides a vast selection of laminate flooring as a handy, easy-to-clean option in busy homes. Additionally, our dedicated team of professionals take care of any laminate flooring installations so you don’t have to lift a finger. When you desire an affordable wood floor that looks the real deal, choose wood-effect laminate flooring that is easy to install and maintain, and available in an incredible range to suit just about any room. This kind of laminate flooring offers many benefits and is more moisture and scratch-resistant compared to a real wooden floor. While receiving great value for money, you still keep the high-quality features you would obtain when purchasing a more expensive option. 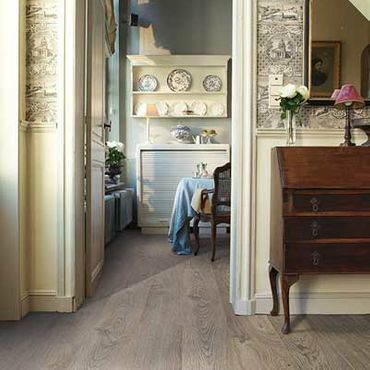 Offering an attractive appearance, wood-effect laminate flooring is suitable for all kinds of places in the home. 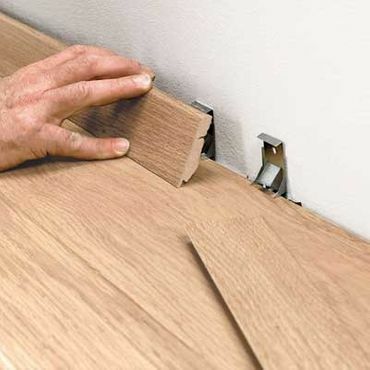 Don’t forget to add the finishing touches to your laminate floor! With the help of our experienced team, you are able to give your floor the professional finish it deserves with matching accessories. 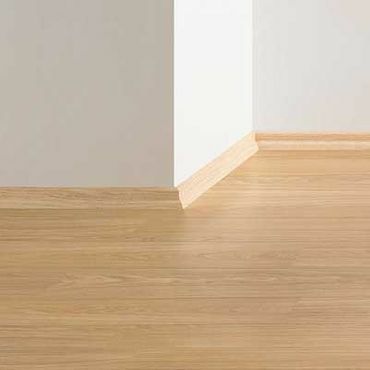 You will be amazed at the difference that sleek-looking edging makes around your floors to complete the look. Unlike supply-only companies, we offer a handy measuring and fitting service for your peace of mind, which is also available for our luxury vinyl tiles and engineered wood options. Make sure that you get in touch today for a hassle-free experience when choosing and installing floor coverings. Contact our flooring shop in Warminster, Wiltshire, to obtain more details about our laminate flooring and installations.